March 1. Over the last month, Registered Nursing (RN) students at the college have been trained on the components of The Pillowcase Project as part of their mental health rotation. 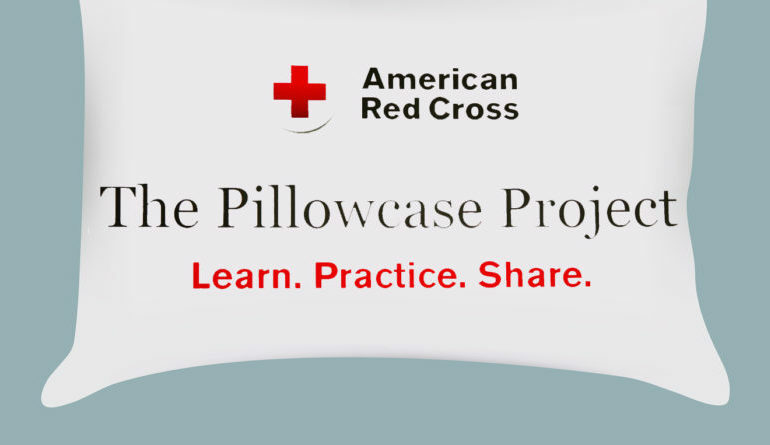 Offered by the American Red Cross, The Pillowcase Project is a free program for 3rd to 5th grade children to help increase awareness of natural hazards and encourage emergency preparedness actions. The program was originally created in New Orleans, inspired by university students who carried their belongings in pillowcases during evacuations for Hurricane Katrina. In the class, students receive a pillowcase to decorate and use as a personal emergency supplies kit. Children are also encouraged to work with adult members of their households to create an emergency plan and supplies kit. The curriculum is structured by a “Learn, Practice, Share” framework. Students learn about the science of a locally relevant hazard and how to best prepare for it. They practice what to do if a disaster occurs and how to cope with related fear and stress. Then they share the information and skills they have learned with their family and friends so everyone in the household knows what to do.